Olney Friends School, by virtue of their very own motto, “challenges students to grow.” This growth is both internal, and very, very literal: Olney high-schoolers take part in a multifaceted farming program on the school’s 350 acres of land near Barnesville, Ohio. Summer is here at Olney Friends School, which means our interns are staying busy. Current students and recent graduates have returned to campus to make the farm their home for the next few weeks. The school was originally built to educate the children of Quaker families in 1837. But the work continued, and in 2015, Olney became the nation’s first USDA-certified organic campus. As reported by Yes Magazine, manager Don Guindon grew up on the school farm. His father pioneered the school’s sustainable practices, and Guindon has stayed loyal to his father’s work ever since. “Olney has had conservation practices to protect the environment in place for a hundred years,” he shared. Olney students nurture a very hands-on relationship with the farm’s sustainable ethos and the many animals that provide the students with a valuable insight into life, death, and the circle of growth and consumption that underpins daily living. The farm is home to 52 beef cattle, eight goats, 150 laying chickens, two active beekeeping hives, and up to 800 meat chickens at any one time. Besides nurturing animals from birth, through life, and all the way to the dinner table, Olney students help grow a wide variety of fruits, vegetables, and herbs every single year. An Olney classroom looks and feels different to the classrooms of the students’ peers nationwide. Lessons in farming skills are a daily occurrence. An art class, for example, may work on remodeling the farm’s greenhouses for better environmental conditions and increased productivity. Most of Olney’s 50 students live on campus, and 30 percent of the student body comprises international students. The school cafeteria is stocked predominantly with food from the farm or the surrounding area. “Our goal is well-rounded citizens who are smart consumers with social awareness,” Guindon continued. Sustainability and social responsibility also rate highly. “When the students are there for every step of the process, they own it,” Guindon said, referring to the students’ involvement in the recent birth of 13 baby goats. A number of students were specifically trained as “goat midwives,” and stood vigil over the barn while the mother goats went into labor. Senior Antonia Sigmon has thrown herself into life on the farm during her four years on campus. Many goat kids were born during her freshman year, and she fondly recalls the magic of midnight bottle-feeding duties. “I’ve been excited about working with the animals ever since,” she shared. And speaking of community, Olney are active in their outreach. 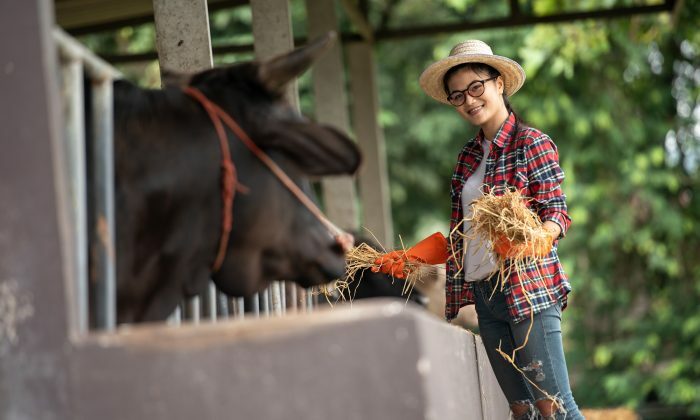 On Saturday, April 27, 2019, the school will host “Farm Out 2019,” a day of fun and educational farming activities for children and teens. What better way to educate than by merging the lessons of the classroom with the wide, wonderful world beyond. Started playing Destiny and having a tough time getting those Exotic and Legendary gear? When you promise customers local food, you gotta do the work. There has been a dramatic boom in urban farming in France over the last few years.